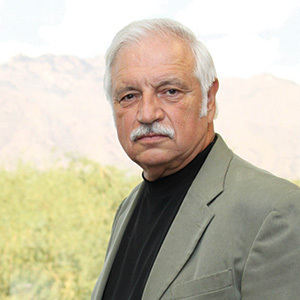 James M. Gentile is the Dean for Natural and Applied Sciences at Hope College and the past President of Research Corporation for Science Advancement, a Tucson, AZ-based foundation dedicated to science since 1912. Jim received his Master’s and PhD in Genetics from Illinois State University and conducted a Postdoctoral Fellowship at Yale University School of Medicine. Jim then joined the faculty of Hope College where he remained for nearly 30 years before becoming President of Research Corporation for Science Advancement, a foundation that funds innovative scientific research. In 2013, Jim returned to Hope College where he is today. Jim has received many awards and honors during his career, including the Alexander Hollaender Research Excellence Award from the Environmental Mutagen Society, the Cancer Medallion of the Japanese National Cancer Institute, and the Science Medal of Distinction of Pisa, Italy. He is a Fellow of the American Association for the Advancement of Science, a National Associate of the National Academies of Sciences, and a National Academies education mentor. Jim was also honored by Illinois State University with an Alumni Achievement Award and election to the university Hall of Fame, and was given a Special Achievement Award by the Council on Undergraduate Research. Jim is here with us today to tell us all about his journey through life and science. Jim grew up in Chicago and is a dedicated White Sox fan. He loves sports and can be found on the basketball court during lunch three days a week. To get away, Jim escapes to his fishing cabin in Northern Minnesota. There he can relax on the lake for a few quiet days of nature and fishing. Research in Jim’s lab focuses on internal or external factors that may cause a genetic mutation to occur. His specific field is called genetic toxicology or environmental mutagenesis. “If you can’t explain it to a six year old, you don’t understand it yourself.” by Albert Einstein. Jim grew up in the inner city of Chicago, and he remembers going to the city parks was like going to an oasis. He was completely in awe of nature. His affinity for fishing came from his father, and he really enjoyed those early fishing trips. Jim used to tell his dad that the was going to study fish when he grew up. One of Jim’s major discoveries in science was the plant-activated carcinogen model. He was studying a chemical that was being put on plants that itself was not carcinogenic. However, the plants converted the chemical to a substance that was mutinagenic. This finding upset a lot of people in the agricultural world and lead to challenges for him. In the lab, he also faced challenges when his group was looking for mutations mediated by plants using a transgenic mouse model. It was frustrating to go through weeks at a time with no results. While at Research Corporation, they created a program called Scialogs (science + dialogues) which emphasized the team nature of science. They created a grant mechanism that emphasized research teams. During their annual retreat with grant awardees in the Arizona deserg, they announced a surprise additional funding opportunity if the researchers could come up with ideas that would join different research teams together. It was phenomenal to see groups collaborating and giving each other constructive suggestions, even though they were competing with each other for funding. Jim had an opportunity to travel to Khon Kaen, Thailand for field work in a project studying rare cancers in the developing world. They discovered a particular carcinoma was associated with a parasite, and had to solve a fascinating mystery to uncover why men were getting this cancer more often than women. They were able to crack the case and enjoyed time with so many wonderful people in this beautiful place. Everyone in the lab knows that Jim is a major Grateful Dead fan. Whenever he comes in the lab, they scramble to change whatever music is on to a Grateful Dead song for him. He has influenced a lot of his students to listen to old rock music, but he has also picked up a taste for reggae from one of his past students. Take risks, and don’t play it safe all the time. Even if you fail, you will learn something. Jim is a geneticist by training, and he previously served as dean for the Natural Sciences at Hope College (the position to which he has now returned) where he also held an endowed professorship. He has conducted extensive research on the role of metabolism in the conversion of natural and xenobiotic agents into mutagens and carcinogens, with funding from the National Institutes of Health, the National Science Foundation, the U.S. Environmental Protection Agency, and the World Health Organization, among many other public and private foundations. He received his Ph.D. from Illinois State University and undertook postdoctoral studies in the Department of Human Genetics at the Yale University School of Medicine. He is the author of more than 150 research articles, book chapters, book reviews and special reports and has active Blogs on Tumbler and the Huffington Post. He is the former editor-in-chief of the international journal Mutation Research, past President of the U.S. Environmental Mutagen Society and the International Association of Environmental Mutagen Societies, and a founding member of Project Kaleidoscope. He serves on several national Boards and Committees, including the Science Friday Foundation Board, the Cures Now Foundation Board, The Biosphere2 Board, and many high-level committees and task forces for the National Academies of Science, The National Science Foundation, International Agency for Research on Cancer, and the National Institutes of Health. In particular, he was recently appointed as Chair of a National Academies committee to look at the educational impact of undergraduate students who get involved in research and a member of another National Academies committee looking at convergence in science. In addition, Jim is involved with the science and entertainment exchange, which is a partnership between the entertainment industry and the National Academy.